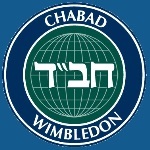 Want to keep in the loop on the latest happenings at Chabad Wimbledon. Subscribe to our mailing list below. We'll send you information that is fresh, relevant, and important to you and our local community. Chabad Lubavitch of South London was established in 1988. We are based at Chabad House Wimbledon and serve all the South London communities. Chabad House is directed by Rabbi Nissan Dovid Dubov and his wife, Sarah. The Chabad House is situated 4 minutes walk from Wimbledon Station. Go out of the station and immediately cross over the road and turn to the right. Go to the corner and turn left at the Starbucks Coffee. Proceed along St. George's Road, ignoring the curve of the road to the right. You will see Chabad House on the right (Adjacent to Drake House). Chabad House contains a shul, and library resource centre. Feel free to explore our website to see what we have to offer.